Most parents and students at EBJI know Molly O’Rourke as the instructor of the Monday and Wednesday beginning children’s class. Currently ranked number one in the United States in the women’s 78+kg category, Molly also avidly competes in the sport of powerlifting. She currently holds the American record in the deadlift and recently competed at the LA Fitness Expo January 29-30, 2011. Molly competed in the benchpress where she took second place with a lift of 242 pounds. 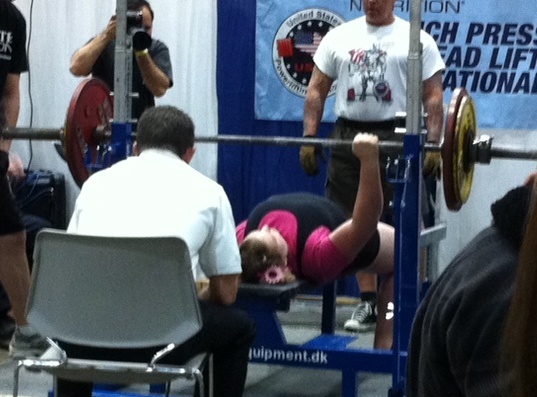 She also took first place in the deadlift where she lifted 440 pounds. Coming off of a first place finish at the San Jose Buddhist Invitational Tournament held on February 20, 2011, Molly hopes to be the top ranked athlete in her division going into the Senior National Judo Championships in April. If Molly wins the Nationals, she will be named to the 2011 Pan American Games Team, which will be held in the summer in Mexico.